The idea to write a blog about São Paulo was actually thought of so that we could have a medium in which to write more about this city we love and about our "semi-colorful," world living in it. We're not going to pretend there aren't any problems here, but we will aim to focus on the advantages of living in this world of endless buildings, countless cars, and infinite number of people, and a little ... pollution. At first glance, São Paulo, which will be endearingly referred to as "Sampa," throughout this blog, is not the first place in which a tourist looking for peace should consider staying. If you want peace & quiet, Brazil has tons of "country" for you! This city is off the walls! Yet this isn't the [only] reason we love it so much. São Paulo is immense, gigantic, f'in huge. Like... "a mother's heart," as we say here in Brazil - there's always room for one more. And it's all of this space that allows each person, no matter how "unique" you may be, to find his or her niche and feel comfortable here in one way or another. Regardless of whether or not you grew up here or just made it here from distant lands, in time, you'll find yourself in this city. 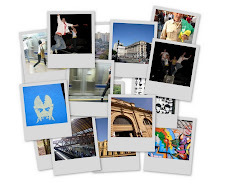 We hope that with this blog, we can open some peoples' eyes to everything São Paulo has to offer. We know that from a sampa newbie's standpoint, it may take a while to get used to the city's dynamics, learn how to ride the bus, the metro (hell, most paulistanos don't even know how to ride the busses here!). All we ask is you give SP a chance, let the strangeness and new sites pass, and you too, can fall in love and become involved in this beautifully diverse and exciting place.